What has struck me about the University Library Tower Collection is how quickly new technologies were embraced in the early 20thCentury and how detailed, well informed books were quickly published. One of the most exciting new technologies of the day was aircraft. 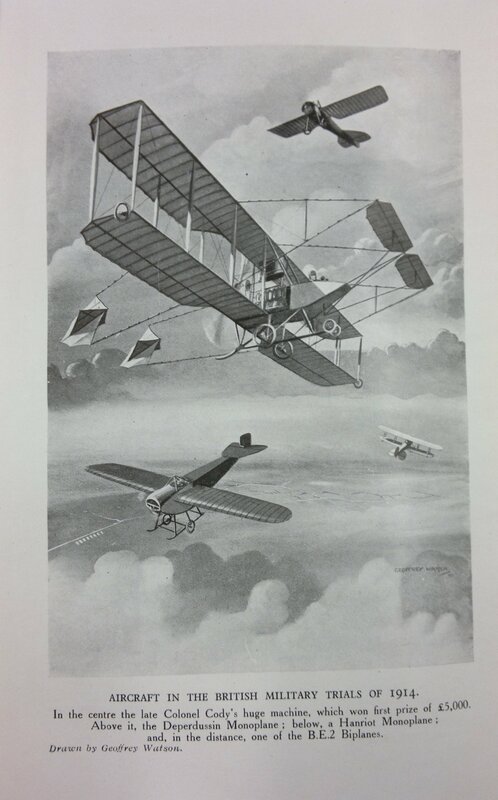 Early aircraft technology is represented in the tower collection in both fiction and non-fiction. An example of non-fiction is ‘Aircraft in War and Commerce’, written by William Hibbert Berry, which was produced in at least three editions starting in 1918. It focusses on the development of the aircraft during the First World War and its post war potential as a commercial tool. 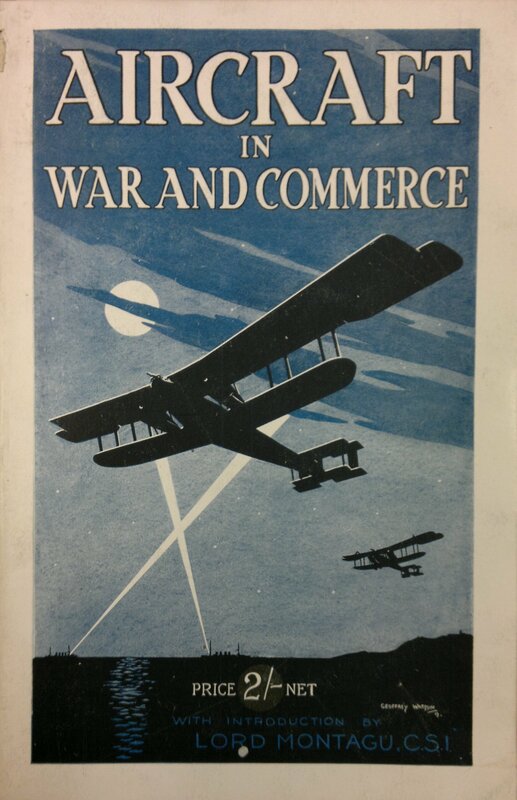 Aircraft in War and Commerce 1918. What started out as a toy for wealthy adventurers soon became a viable piece of military technology with the advent of the war. Trials were carried out by the British military in 1914 to find the best aircraft for reconnaissance (spotting and photography) and bombing. 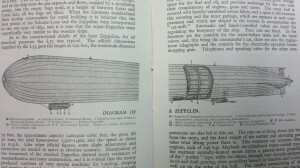 At this time the familiar fixed wing aircraft was not the only technology in the sky, there was also the airship. 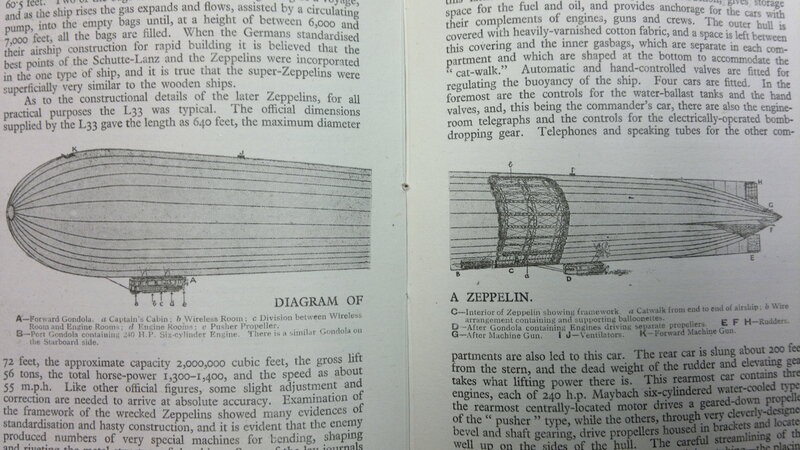 Aircraft in War and Commerce also looks at the airship as an example of military technology, especially the German Zeppelins used to bomb London. Military aircraft soon became much more advanced with the development of specialist fighter planes and larger bombers and an arms race developed between the allies and the Germans. Sea planes were also developed by the principle navies, to be launched from ships. 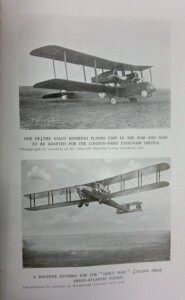 The third edition published in 1920 includes extra chapters on the commercial development of aircraft since the First World War. An early use featured was international air mail. 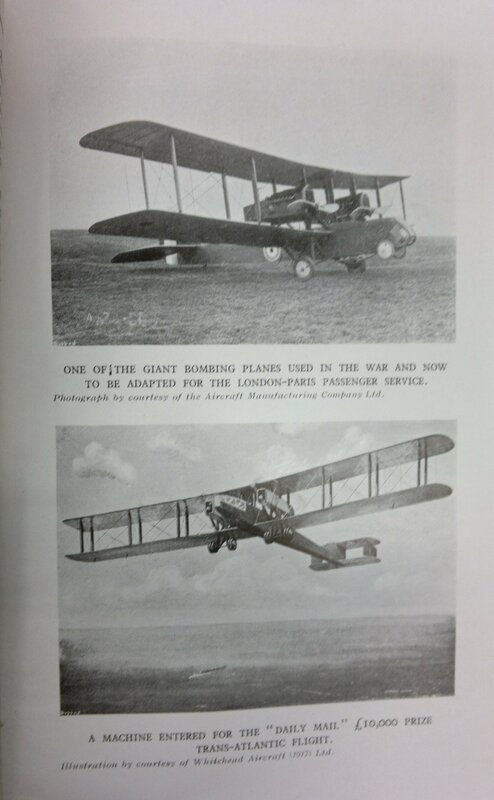 It was soon realised that the commercial air travel should exploit the speed of aircraft over the bulk carrying abilities of rival forms of transport such as trains or ships. Specimens of aircraft in the British military trials of 1914. Apart from the rudimentary comfort of aircraft, early passengers faced familiar problems with air travel we face today. Aircraft in War and Commerce foresees that long haul flights would require many landings along the way to refuel and of course the weather plays an important part in whether the plane can fly in the first place. And this is still a problem in the 21st century as any passenger whose flight has been cancelled due to snow would testify. A First World War bomber adapted as a mail aircraft and the machine entered into the "Daily Mail" £10,000 trans-Atlantic flight. It is hard to imagine these early airports without any duty free, win-this-car competitions or sock and tie shops! Of course the author is aware that air travel would realistically be only available to the very wealthy for the foreseeable future. Finally Aircraft in War and Commerce accepts that air travel is one of the fastest changing industries in the world and that commercial demands would probably lead to rapid expansion in a very short time and this has proved correct over the rest of the 20th century. 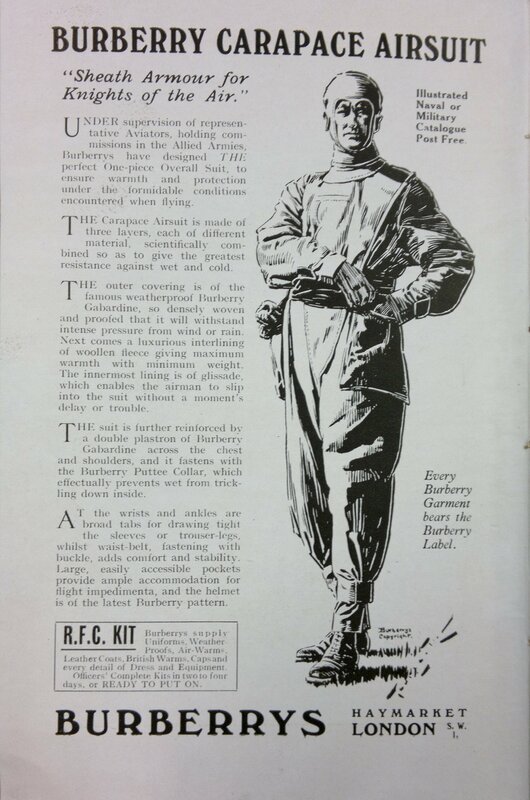 This entry was posted in Aircraft, First World War, Transport, War. Bookmark the permalink. The cover design for Aircraft in War and Commerce is very similar to that used for many of the WE Johns Biggles books. It captures the breathless excitement of a boys adventure book very well.